Standard wood pallets are made by large-scale companies and small local shops, out of hardwood or softwood. The design is roughly the same from pallet to pallet, but the variables involved mean that two different standard pallets may have very different weights. For these reasons, those asking “What is the weight of a standard pallet?” should be prepared to hear a few different answers. Standard wood pallets can weigh anywhere from 30 to 80 pounds depending on the type of wood, manufacturer, and age of the pallet. Corrugated cardboard pallets offer much lower weights but typically aren’t appropriate for continuous use. Meanwhile, plastic pallets usually weigh less than 50 pounds. You’re always going to face compromises when it comes to pallets. A heavier pallet may hold more product, but the trade-off is higher transportation costs. 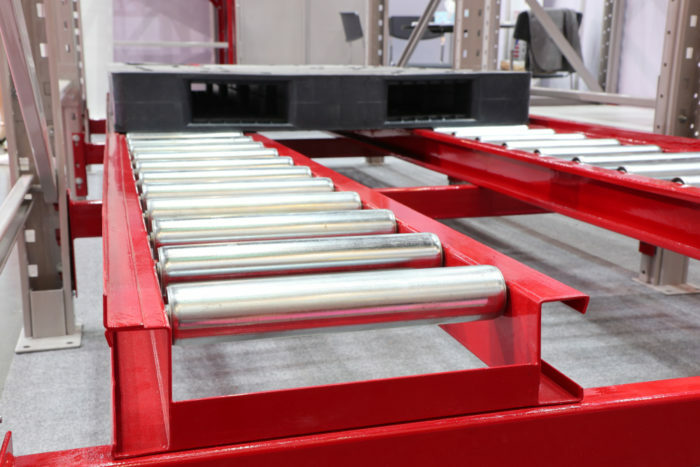 Lightweight pallets may be easier on fuel and more convenient to handle, but often don’t have the capacity or durability of their heavier counterparts. Ideally, you want a high-capacity, lightweight pallet in order to maximize the amount you can ship. Lightweight pallets reduce transportation costs as trucks are able to carry more product in a single load without hitting the weight limit. On the factory floor, lightweight pallets continue to offer cost savings by reducing wear on machinery and injuries to employees. The bottom line? Lightweight plastic pallets offer a way to enjoy the strength of a much sturdier pallet without the weight. A standard “stringer” pallet measures 48 by 40 inches and weighs around 40 pounds (again, this will depend on age and condition, among other things). 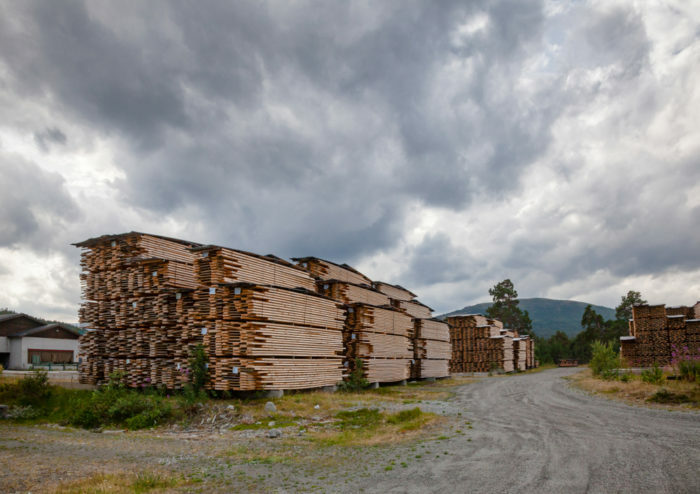 These stringer pallets are typically made of softwood and have a maximum dynamic load capacity of about 2000 pounds. Their simple design saves them a bit of weight, but also makes them more prone to wear and tear. In many cases, retailers reject loads shipped on stringer pallets due to problems they cause through breakage, such as product damage. As such, lightweight wood pallets like standard stringer pallets typically aren’t appropriate for heavy industrial use. The same goes for cardboard pallets, which generally weigh no more than 20 pounds but are even more prone to damage. Heavy duty plastic pallets are the best way to support to heavier loads while minimizing platform weight. An alternative to stringer pallets is the wood block pallet, which uses hardwood for greater longevity and is built using a sturdier design. As a result, however, wood block pallets can weigh up to 80 pounds. While they are often used for high-volume or heavy products, they still have problems with splintering and breakage and their weight can impact fuel efficiency and take a toll on automated storage systems and other machinery. Heavy duty plastic pallets are the best way to support to heavier loads while minimizing platform weight. High-quality rackable plastic pallets weigh no more than 50 pounds but can hold even heavier loads than their wood block pallet counterparts. They’re more durable than wood pallets and won’t absorb damaging moisture or splinter during transport. Another, somewhat underrated, benefit of plastic pallets is that, unlike wood pallets, their low weight stays consistent from platform to platform and from use to use. Why Does Wood Pallet Weight Change Over Time? One major problem with wood pallet weight is consistency. Two different pallets may have very different weights due to factors like the manufacturer’s design and wood choice. As a result, manufacturers and warehouses are often forced to deal with many pallet weights at the same time, which creates challenges in estimating fuel costs and calibrating machinery. The weight of a standard pallet may differ at different stages of the supply chain. Moisture also makes wood pallet weight changeable. As wood is porous, moisture is able to soak into the wood, changing its weight. 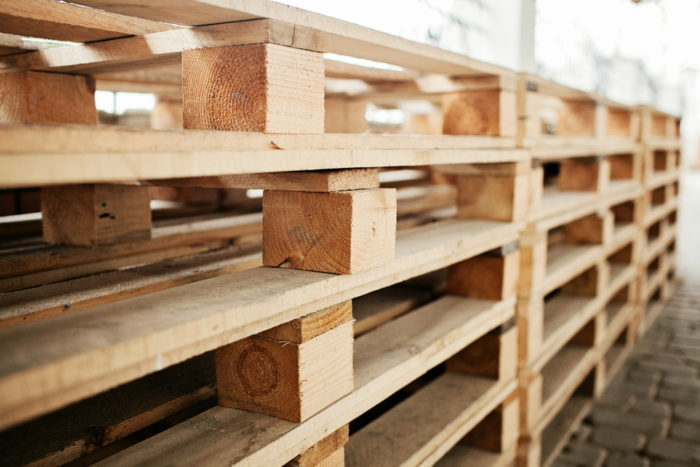 The weight of a standard pallet may even differ at different stages of the supply chain as it is introduced into environments with more or less moisture in them. Eliminating these fluctuations requires looking to a non-porous alternative like plastic. Plastic pallets have a consistent weight across the manufacturer’s entire line, and that weight stays the same for the pallet’s entire lifespan, from manufacturing all the way through to its last use. OSHA restrictions: OSHA clearly recommends the need for two employees to lift anything over 50 pounds. As wood pallets are so close to this threshold, most companies will default to a two-person lift protocol on every pallet to keep employees safe and to stay OSHA compliant. Still, employees may choose to lift these pallets by themselves, which can cause injuries and potentially open the company up to fines and penalties. A pallet that’s consistently under 50 pounds, such as a plastic pallet, eliminates this problem by making it possible for employees to lift the pallet on their own without violating protocol. On top of that, plastic pallets feature ergonomically friendly grab holes which make them easier to carry and manipulate. Automation: Pallet weight variance is a significant problem in any automated supply chain process as machines must be calibrated to manage a specific weight. When wood pallets in the same shipment have different weights, calibration becomes a problem. These inconsistencies can wreak havoc on automated systems. Estimating transport weight capacity: Companies often overestimate their shipment weight to account for fluctuations in pallet weight. However, using a pallet with a consistent weight lets companies transport more, as they can be confident the estimated weight is close to the actual weight of the load. Estimating fuel and transport costs: The Total Cost of Business (TCOB) is heavily impacted when key decision makers underestimate the impact of pallet weight or are forced to overestimate it due to wood pallet weight fluctuations. With a more consistent pallet weight, stakeholders can make more accurate determinations when calculating fuel and transportation costs. Strong plastic pallets are both lightweight and durable. Weight fluctuation makes the exact weight of a wood pallet nearly impossible to determine, and your business will end up spending more time and more money to deal with that uncertainty. Strong plastic pallets are both lightweight and durable enough to create consistency for companies trying to accurately gauge their shipping costs while maximizing the quantity of goods delivered. Any enterprise concerned about how wood pallets are raising their Total Cost of Business should consider switching to a reliable plastic platform. The iGPS plastic pallet lets business owners eliminate unexpected fluctuations in supply chain expense. To switch to a pallet that allows your company to transport goods without surprise expenses from wood pallet weight changes, contact us at 1-800-884-0225, email a specialist at switch@igps.net, or visit our contact page.